I was raised by a mother who took mealtime very seriously. Mom believed that dinner was a time to display our best manners, to chat, and enthusiastically enjoy all that she had lovingly prepared. She was a great cook, and dessert was always a highlight. My brother and I were expected to arrive promptly for dinner and stay until we had polished off all that was served. If we balked too much, dessert was definitely off the table. There were those painful nights when the most dreaded vegetables were served— like lima beans or asparagus—and Gary and I would eye each other knowingly. This could be a long night. Mom was wise to our attempts at diffusing the situation: we’d spread food across the plate as if it had disappeared; we’d casually spit disgusting bites into a napkin, or desperately drop the worst to our loyal collie, Duke, who sprawled sympathetically under the table. Mom finally relented and allowed us both to pick one item that we could pass on, but we couldn’t arbitrarily change it the next week. For years, lima beans were my biggest contender: they were big, dry, and wretchedly hard to swallow with no redeeming flavor. Overall, I pride myself on being open to new foods and welcome new taste treats; but still, I’d dismiss lima beans whenever there was a choice. 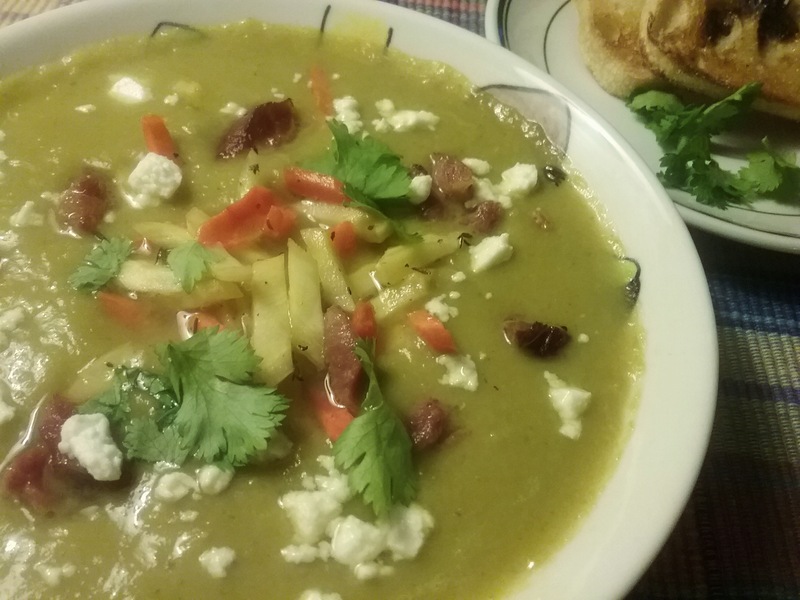 All that changed recently when I watched Rick Bayless prepare a dish called Banana Pepper, Leek Soup with Lima Beans and Smoked Meat. I was fascinated by the creamy, thick, green soup that was reminiscent of Vichyssoise, the fabulous chilled potato-leek soup. The concept was just enough to open the door and give me a reason to give it a try. I reasoned the bean’s texture might actually work in its favor! The soup is prepared much like its French counterpart, but substitutes lima beans for the potatoes and eliminates the cream. It begins with a quick sauté of smoked meat, like shredded ham hock (yes, it works! ), then removed and saved for the finish. Sweet root vegetables, such as carrots and parsnips are roasted or grilled ahead and held for the finish. The actual soup is quite simple. Leeks and shredded peppers, such as pasilla, are sweated in the smoke-flavored oil and cooked down until meltingly soft. All of this is pureed with half of the defrosted frozen baby lima beans and a good chicken stock. I opted to not over puree the soup, which added to its rustic appearance and charm. 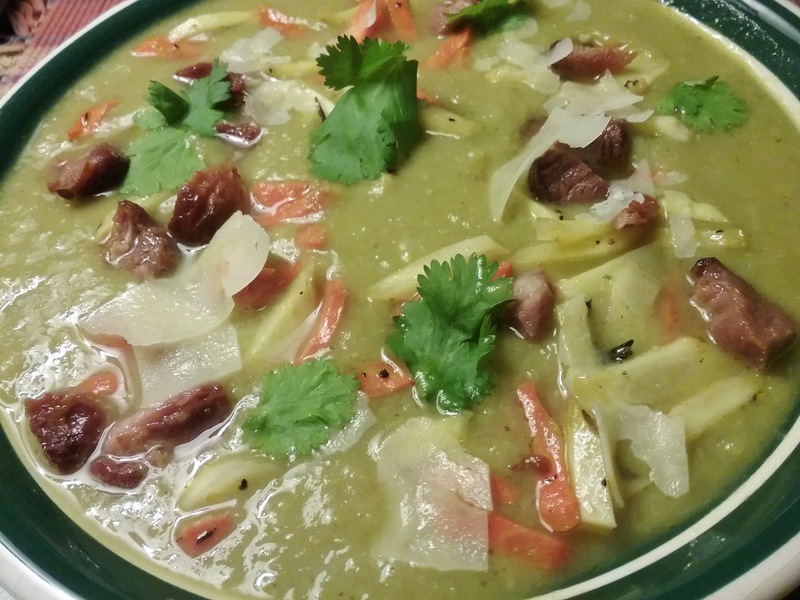 The soup is returned to the soup pot and reheated with the other half of the lima beans. The smoked meat and roasted vegetables can be reheated with the soup, too. Since they are colorful and have so much flavor, I preferred to strew them across the soup when serving—visible and not lost in the soup. That’s it. Add a sprinkling of cheese, a little fresh herb such as cilantro or parsley and be prepared for a surprise! Using fingers to shred (or a knife to cut), break the ham hock (or one of its stand-ins) into bite-sized pieces. In a large (5- to 6-quart) soup pot, add about 2 tablespoons of oil over medium-high heat and add the smoked meat until crisp. With a slotted spoon, scoop the meat onto a paper towel to drain, leaving behind as much fat as possible. Add the butter, leeks and chiles into the pot, cover and return to medium heat. Let cook, stirring occasionally, until the leeks and chiles are very soft, about 10 minutes. Uncover and continue to cook, stirring frequently, until the leeks and chiles look thoroughly melted and are just beginning to brown, about 10 minutes more. Scrape the leek mixture into a blender jar, add half of the bag of the lima beans (about 1 ¾ cup) and the broth. Blend until smooth and return to the pan. Add the remaining beans and the charred vegetables to the soup and bring to a simmer over medium heat, add more stock or water to thin if very thick. Taste and season with salt, usually a scant teaspoon depending on the saltiness of your broth. Let simmer for a few more minutes, then ladle into warm soup bowls, sprinkle with the crispy meat and garnish with fresh herbs and cheese. Serves 6-8. There are a few vegetables that I generally have on hand. Onions, carrots, and potatoes are some of my favorite kitchen stalwarts and it’s evident that many cuisines including the United Kingdom, much of Europe, and other countries scattered around the globe agree. As well they should: these and other root vegetables are easy to grow, they store well, and can be used in many different styles and fashions. There is one dish from the southwest of France that is a glorious reminder of how a few basic ingredients can be supremely elevated through thoughtful preparation. 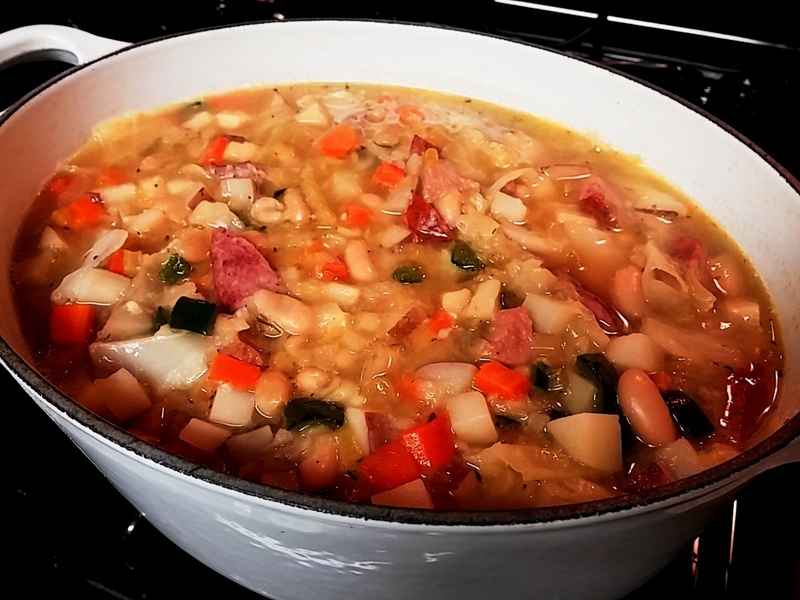 Garbure is a thick country-style stew made with root vegetables, white beans, and well-laced with assorted meats such as duck confit, smoked pork, and/or sausage. As with most country cooking, much depends on what is seasonal and on hand. Along with the above listed trio, cabbage and perhaps a parsnip would be included in the typical garbure. 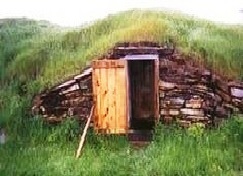 Before refrigeration was readily available, these vegetables were safely over-wintered in some version of the trusty root cellar. Fortunately, in today’s kitchen we are no longer as limited with supplies and produce as we were once, and we have plenty of choices. Instead of grabbing some of that duck confit we handily packed away, or relying on the ends of the ham bone, or hacking off a few links from the dried sausage hanging from the rafters, we can simplify our preparations—direct from the supermarket. For four or more servings, a couple of thick slices of smoked ham and few links of first rate sausage will suffice. The average suburbanite no longer needs the massive amount of meat once required to fuel our bodies. Although there are days when we may want an all day project, even our garbure no longer requires that much effort. We can begin with a good quality prepared chicken stock and throw in some of that dwindling supply of onions, carrots and potatoes, plus a parsnip or a turnip, a little cabbage, and perhaps a green pepper. Instead of soaking and simmering a huge pot of dried cannellini beans, all we need is a 14-ounce can of cooked beans. 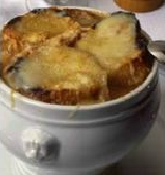 Once the meat permeates the stew and and it is so thick that a spoon nearly stands upright in it, we’ll finish it all off with an artisan quality country bread, nicely toasted—for the glorious cheesy gratinée that graces the top. Yes, on a cold winter’s day, we can have a superb country stew—one with big, earthy flavors—and we can have our meal ready and waiting in less than two hours. In a large pot, heat chicken stock, add carrot through the cabbage; add the bay, thyme, salt and pepper and bring to a boil. Cover lightly and simmer for about 40 minutes. Add the ham, sausage and cannellini beans and simmer another 40 minutes, stirring occasionally, until it is thick and stew-like and the vegetables are meltingly tender. Adjust seasoning. Fill oven proof bowls and top with lightly toasted 1/4″ sliced sourdough or other artisan bread, sprinkle with Gruyere or other melting cheese and broil until bubbly. Pass chopped pepperoncini. Serves 4 or more.